During National Nutrition Month, you might be inundated with advice on diets, health foods and food fads. Celery juice, the keto diet, Whole30…it’s impossible to keep up! It can be hard to stay on track and above the dietary fray, which is why we are rounding up our favorite meals that are easy, approachable and tasty, too! No fuss, no trips to specialty stores necessary–these recipes will make your health journey easy, not harder! When you’re making healthy happen, it can be hard to pass on foods you would typically indulge in, but the truth is, you don’t have to. Whether you’re looking to lose weight, maintain your current weight, or simply add more nutritional value to your diet, these so called “guilty foods” can be made healthy. It just requires thinking outside the box and inside your kitchen! Eating meatloaf doesn’t have to be a mystery. Substitute ground turkey for a leaner fat profile, and quinoa to pump up the protein, and you’ll feel truly comfortable consuming this comfort food. If you haven’t heard, Chipotle released their guac recipe! Woo! Season packets or premade containers can’t compete with the simplicity of this spread made from scratch. Just combine mashed avocados with diced tomatoes, red onion, cilantro, and lime for a fresh dose of healthy fats! We’re no longer too concerned about cholesterol when it comes to eggs. So grab a carton and cook them any way you like. We recommend these tasty crustless-quiches or a veggie filled egg bake. 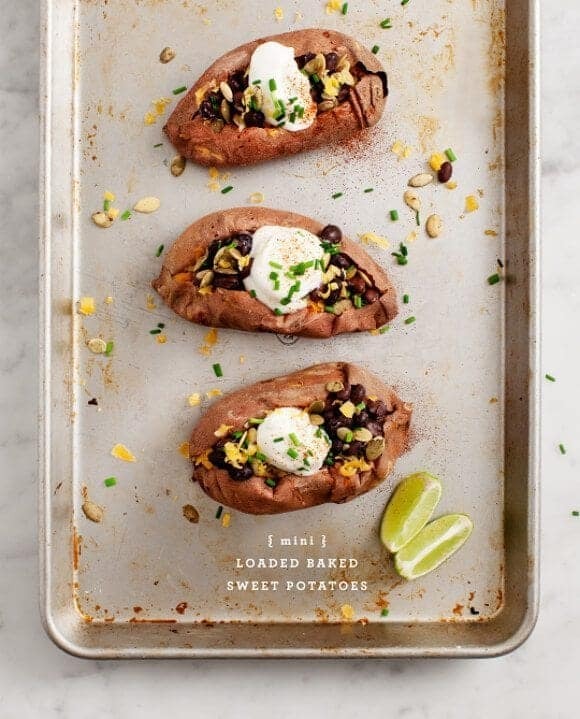 Foods with more vibrant colors like sweet potatoes have more nutritional value than traditional white potatoes. When baking potatoes, stick to the ones that add color to your plate. Top with diced veggies, salsa, and plain greek yogurt to replace sour cream! Consider utilizing wild rice in dishes that would normally call for white or brown rice like stir fries, soups, or salad recipes. Wild rice, like quinoa, is slightly higher in protein, giving it a nutritional advantage to white or brown rice. Plus, it’s an excellent source of fiber! Homemade whole wheat pizza crust can be as easy as 4-5 ingredients—water, yeast, salt, whole wheat flour, and sometimes a bit of sweetener. I bet you can even have it made and in the oven before the delivery man arrives. 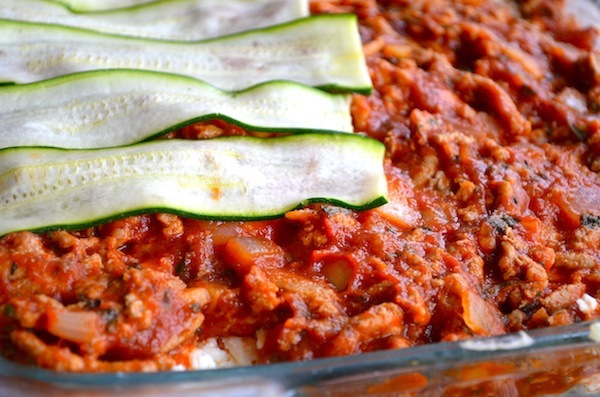 With thinly-sliced zucchini or eggplant as noodles, you can turn this dish into a low-carb meal, just like that! Swap out ricotta for cottage cheese for a lower-fat option! Opt for lean sources of protein when indulging in a burger. Ground turkey or bison make for great burger patties. You can even go bun free as a low carb-paleo route, if you feel so inclined. Paleo recipes know what’s up when it comes to pancakes. Almond and coconut flours add nutritional value while also staying gluten-free. Devoid of any added refined sugar so all you have to do is add your naturally sweet maple syrup. Not digging the paleo option? Try our 3-Ingredient Banana Pancakes, instead! Who’s to say cookies can’t be healthy? You just got to know what to look for. I personally look for recipes with sugar coming from natural sources like bananas, honey, or maple syrup. Whole wheat flour and oats are other good ingredients for fiber filled cookies. What’s better than a cookie for dessert? A cookie for breakfast! Don’t miss our delicious Apple Butter Oatmeal Breakfast Cookie recipe that you are sure to love. Are you sweet? Or savory? Plain Greek yogurt is the ultimate substitution for ranch, sour cream, or cream cheese-based dips. Try this Greek yogurt-based spinach and artichoke dip or this healthy and sweet dip for fruit! Simply, easy and crowd-pleasing—grilled cheese is a weeknight win. For picky eaters, use white bread (likely with the crust cut off and buttered), 1-2 slices of cheese. For the more adventurous, use whole wheat bread, aged cheddar or gouda and a bit of jam for sweetness! Your opportunities are endless. Cooking Light has us covered with some amazingly light grown up grilled cheeses.